American Idol is probably a really stressful experience. Thankfully, if contestants are under duress, there's someone they can talk to: Billy Mauldin, the CEO of the Motor Racing Outreach ministry. FYI: American Idol is not a motorsport. 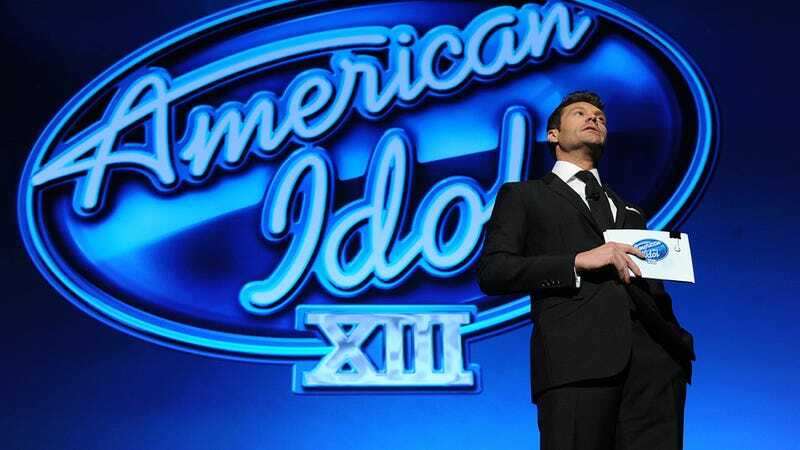 See, I used to watch American Idol. Like every episode. I was a huge fan. And the main thing I noticed when I watched the show was the distinct lack of anything motorsports related at all, other than the Ford product placement. But it's a competition, and Mauldin is there to consult with contestants and to "manage the ups and downs of competition." Unlike the competition of NASCAR, the risk of grievous bodily harm isn't omnipresent in American Idol. For example, you don't frequently see someone miss a high note and then spin wildly into the horn section where they get lodged in a sousaphone. The reason Mauldin is there is because of Fox Sports's David Hill, who realized that a number of singers grew up in faith-based environments and he had worked with Mauldin at NASCAR races. Put them together, and you have American Idol: NASCAR Edition, which is actually a thing that already exists.